The idea of a smart home – using digital devices throughout the home that can be controlled by digital voice assistants, apps, smartphones and tablets – is not a science fiction vision of the future: it is very much part of the here and now, and available to all. Also known as the Internet of Things (IoT), smart home devices can be used to automate tasks, save time and money, and to control devices in your home with a touch of a button – even when you are somewhere else. Smart Homes in easy steps takes the mystery out of all of the elements that are required to set up a smart home: it defines a smart home and shows what is needed to make a home smart: digital voice assistants, devices and apps. Initially, the book looks at the concept of a smart home and how it is now affordable and accessible enough for it to be a serious option for any household. Then, setting up items for a smart home is covered in detail – installing the devices, and also linking them to apps and digital voice assistants for controlling them. The book then examines the digital voice assistants that can be used in the home to control smart home devices, including detailed information about using the most popular options (and their related speakers): Alexa and the Amazon Echo; Google Assistant and the Google Home; and Siri and the Apple HomePod. 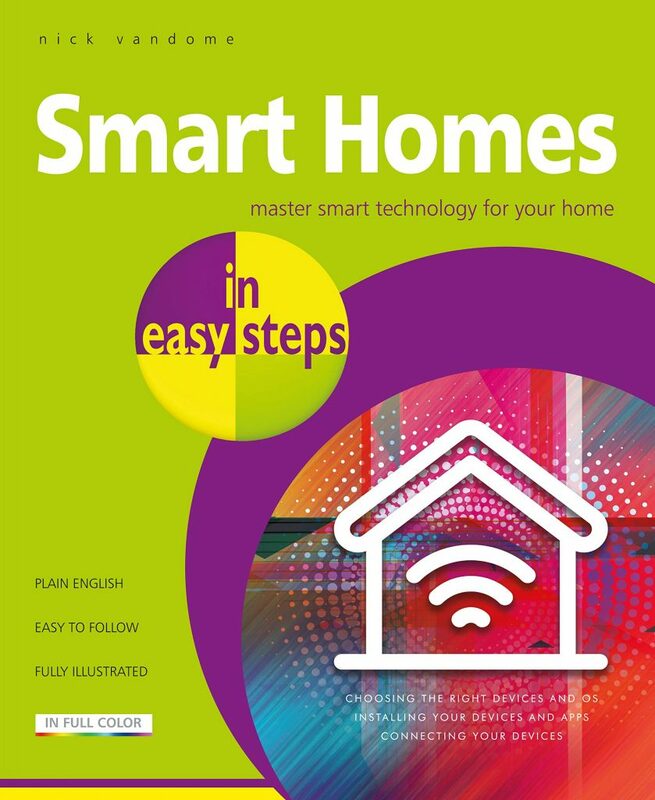 Smart Homes in easy steps is not a look into the future: it is a comprehensive yet concise, step-by-step guide on how to start transforming your home right now, using this exciting and now affordable technology – for smart learning!